If you have been injured in an accident, you are left with the frustrating task of trying to recover the compensation you are owed, whether from your employer or from the responsible party. 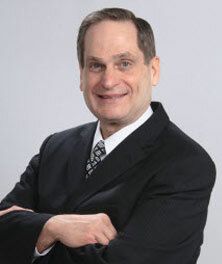 Attorney Thomas R. Lefly is committed to providing the representation you need to fight for those benefits. His experience includes 12 years as a claims adjuster for the insurance companies and two years working as a lawyer for an insurance defense law firm, followed by over 26 years using that understanding to advocate for the injured. He knows the insurance companies’ tactics and strategies used to pay you as little as possible. He is committed to confronting those efforts and fighting to ensuring that his clients are paid maximum damages for the pain and suffering they have endured. A solo practitioner, he provides each case a high degree of attention and tenacity. This includes attending all hearings, persistently advocating to insurance companies and settling any matter necessary in court. He understands the importance these benefits have in the lives of those seeking them; they must cover medical bills, repair bills and any lost wages. He will fight to see the case settle in the most advantageous outcome possible. The firm handles all types of personal injury and workers’ compensationmatters, including third-party liabilit y claims, auto accidents, construction accidents and other injuries that could have been prevented.